You’ve probably heard this Steve Jobs quote: “Design is not just how it looks like, design is how it works.” When Boyert first contacted us, their website was the perfect illustration of that saying. It was outdated, did not represent them well and it actually made it difficult for their potential clients to navigate through the pages and learn more about their great services and locations. To create a web design that is right on the money, the first thing we do is research. In this case, we assessed Boyert’s marketing strategy and the overall brand voice that they wanted to convey. We then did an in-depth analysis of the keywords they wanted to rank for. Through subtle colors, large images and a simplistic structure, we managed to convey the right message and we optimized each and every page of their website so that they jumped up in search engine results. This increased traffic, but we also had to make sure the website was converting well. 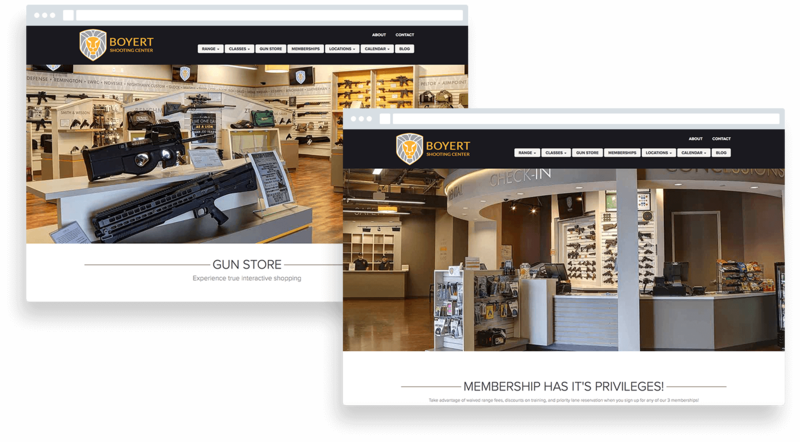 Since Boyert features a gun store, we made sure that website visitors could easily browse through their inventory and check out the different models that they feature. 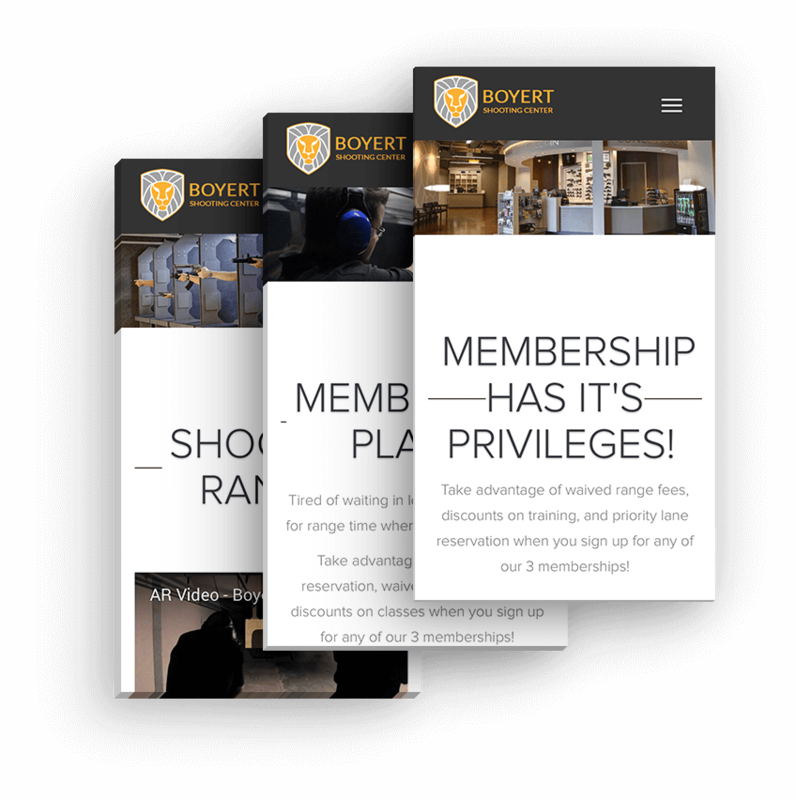 Boyert’s shooting range also offers membership plans for loyal clients - a program that was not well described in their previous website design, so we made sure it was clear to potential customers. We created a platform that presented each and every service Boyert offers, while also highlighting their experience and professionalism. By doing so effectively, this positively impacted their sales. We also built a complex back-end system that allowed Boyert’s team to make updates on their website without any technical knowledge necessary. For a shooting range that is so modern, the ability to instantly inform website visitors about news and deals is crucial. They can now add events, classes, store inventory and upgrade images and content anytime, from anywhere. Seeing the surge in traffic and conversions, Boyert concluded that they now have the best looking and smoothest working shooting range website in the country. Boyert is a shooting range in the Greater-Houston area with several locations. Other than the shooting range itself and different simulators, they also offer shooting classes with different weapons led by top professionals. The first Boyert location opened its doors years ago, and they are proud to be part of the process of reinventing the shooting experience.